Still Star-Crossed TV Review - YA Shakespeare Meets Shonda Rhimes - Are You Screening? Still Star-Crossed, the novel by Melinda Taub, is an interesting and clever look at the world Shakespeare didn’t actually lay out all that distinctly in Romeo & Juliet. It’s equal parts fan fiction and development cheat by appropriation, but it spins a decent yarn and delivers an updated sense of drama. It’s not only solid YA entertainment, but it’s just the sort of effort we could use more of, both as an enticement to read more and backward entry into other literature. 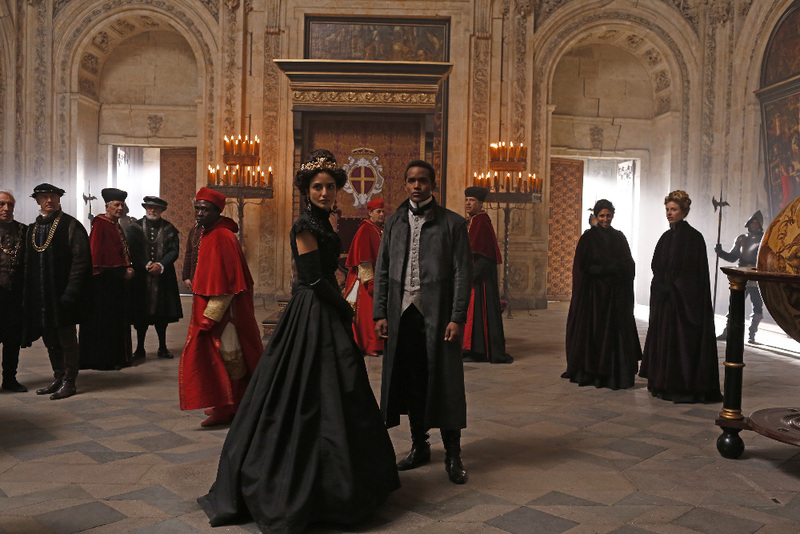 Still Star-Crossed, the show, dresses up the idea wonderfully but renders it all rather lifeless by trying to out-drama itself at every turn in a decidedly Shondaland morass of overworked histrionics. Oddly, this manages, at points, to come full circle and become interesting again by offering up near-cornball drama in situations that actually require all the drama you would think you could muster. The show ultimately revolves around Rosaline Capulet (Lashana Lynch) and Benvolio Montague (Wade Briggs) with, obviously, feints-within-feints concocted by their respective families. The show opens with an introduction that sets the stage for Romeo and Juliet to fall, while introducing us to the characters, and from there sets us on a path that sees destruction on the horizon, not just for the families concerned, but Verona itself. Said destruction is all but guaranteed no matter what anyone does, which means we’re in for a lot of twists and turns. The Capulet house is led by Lord Silvestro (Anthony Head) and Lady Guiliana (Zuleikha Robinson). They are characters that are at best an accusation against Shakespeare’s own oversimplifications, but this is perhaps to think too highly of what’s going on here. Guiliana lacks only a mustache to twirl, and Silvestro is in such service to the plot’s wanderings that he becomes self-contradictory. Then we have Rosaline Capulet who, along with her sister, Livia, is both a Capulet and a surrogate Cinderella. The sisters are, somehow, both servants and members of the Capulet family. Meanwhile, the Montagues are led by Lord Damiano (Grant Bowler), who shakes his fist emphatically in the Capulet’s general direction. Despite the show’s clunky dialog, and flair for splashing bits of flair on whatever flair it may find, the heart of the matter still manages to find a way to audiences. It seems to be despite the production’s best efforts, but it’s there all the same. Lynch may be the show’s only hope as she’s the only one able to resist falling down the rabbit hole erected around her. She has in mind a character, rather than a caricature, but she’s largely alone in the effort. Of course, Anthony Head is doing his best to circumvent the material too, but he’s had a lot of practice. 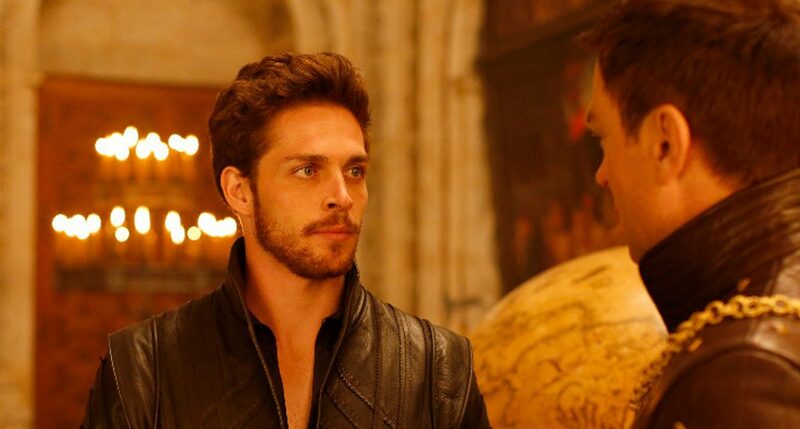 Like everything else with any Shonda Rhimes connection, Still Star-Crossed doesn’t realize that it’s far closer to Galavant than Shakespeare, but it at least leaves off the insistence that its audience is especially dull. It’s more interested in pageantry than anything, and it nudges every plot step toward the realm of soap opera, but it saves itself to some degree by opening the door for richer characters. The main misstep here is that the show is trying to be too many things, and most of it feels as though it is trying to be those things in service to the network’s needs. It aims to get a little Shondaland into the aging Once Upon a Time and cross markets, and the legitimate, albeit guilty, pleasure of the source material be damned. There is room to hope for this one, as the show may be able to settle into a routine that favors a less colorful effort and intrigue while bringing life to the characters, but it probably isn’t the way to bet.